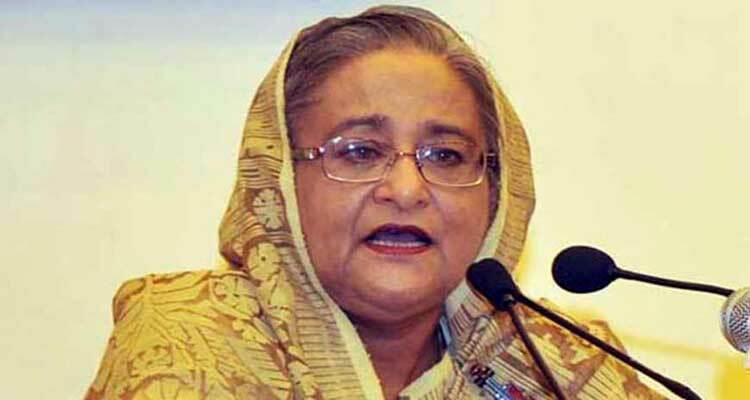 Prime Minister Sheikh Hasina today directed health authorities to ensure best possible treatment for the madrasa girl struggling for life as a madrasa principal allegedly manifested his vengeance setting her on fire for refusing to withdraw sexual harassment charges against him. “The prime minister called me up and asked us to take steps to send her to Singapore for her better treatment,” National Institute of Burn and Plastic Surgery’s coordinator at Dhaka Medical College Hospital (DMCH) Samanta Lal Sen told reporters this afternoon. But doctors at the facility said the madrasa girl’s condition made it difficult for her treatment abroad as 80 percent of her body including the respiratory system were burnt exposing her to breathing problems. “She has been put on life support,” said Samanta Lal while another doctor at the facility said her condition deteriorated overnight. Health Minister Zahid Maleque, meanwhile, visited the burn institute to see Nusrat and later talked to newsmen outside when he described her condition to be “very critical”. “Yet, if her family wants and the Singapore Hospital authorities agree, we will send her there,” Maleque said. Sheikh Hasina earlier today sent her Special Assistant Biplob Barua to the burn institute to see the girl.